2019 is set to be a great year for the county with even more reasons to visit, with plenty of new attractions, events and accommodation openings, exciting anniversaries to celebrate, and innovative products and tours to discover. Experience Oxfordshire are your one stop shop for all things Oxfordshire so here are some great reasons to explore the County during 2019. “This really is another exciting year for the City and the County, and it is no wonder nearly 30 million visitors a year choose to come and visit. It is fantastic to see new investment and product development coming to our destination that will give visitors not only reasons for a first time visit but also reasons to return. With so much to see and do it is great to see additional hotel bed stock come on board so that we can encourage visitors to stay longer and spend more. We have always had a fantastic product range across our destination and these new additions simply enhance it further”. Shakespeare’s Rose Theatre is being built at Blenheim Palace 8th July – 7th September; showcasing four of Shakespeare’s most popular plays. Visitors can experience a vibrant Shakespearean village offering the finest Oxfordshire fare from local ales to scrumptious ice creams. Immerse yourself in Bletchley Park’s ‘D-Day: Interception, Intelligence, Invasion’ exhibition from 1st April. Visitors to the specially-commissioned cinematic exhibition will discover the vital importance of Bletchley Park’s top-secret intelligence, and its impact on one of the most important military operations of the twentieth-century. Between 30th March – 7th April, over 350 writers will flock to our famous university city for the Oxford Literary Festival. Hosted by Christ Church College, the festival offers guided literary walks, lunches and dinner parties, as well as stimulating discussions of affairs literary, political, historical, environmental and culinary. The venerable Ashmolean Museum will open its doors on Mondays from 4th February, meaning that the museum will be open 7 days a week. The Ashmolean will also unveil a bold new exhibition of Jeff Koons’ work on 7th February; visitors can prepare to be intrigued and excited by Koons’ famously contemporary and controversial works of art. Once again, we will be celebrating England’s vibrant tourism offering during the annual English Tourism Week from 30th March – 7th April. Look out for exciting promotions and competitions across the county and share your discoveries with us on social media using #EnglishTourismWeek19. Learn something new between 18th and 28th October at the IF Oxford Science & Ideas Festival, where the wonders of scientific research are examined, challenged and celebrated. The festival’s events cover all levels of interest; experiences include educational panel discussions, hands-on workshops, performances and more. There are plenty of ways to feel festive in beautiful Oxfordshire; we recommend exploring the magical Christmas Light Festival between 15th-17th November for a spectacular festive weekend. You will see free events, workshops, talks, exhibitions and stunning performances. Due to open in the summer of this year is an exciting new 140-room hotel at Paradise Street in central Oxford. The hotel will be developed by Dominvs, a family-owned business, and will be operated under the Courtyard by Marriott brand. Its stand-out feature – a roof garden and terrace with stunning views of Oxford Castle – will make any stay in this hotel special. Make 2019 the year to experience a room that has become an icon of Oxford accommodation: Room 1, ‘The Room With a View’, at The Old Bank Hotel on the High Street. Take in one of the most exclusive views in the world, the quintessential ‘dreaming spires’ view over Oxford’s famous skyline, while enjoying a glass of champagne in your private terrace garden. Nestled in 65 acres of idyllic grounds, the Old Swan & Minster Mill, in Minster Lovell near Witney, blends rural charm with modern aesthetics, and the venue is a pioneer of fantastic hospitality. On 11th March, the Old Swan & Minster Mill will reopen the Minster Mill as a newly renovated sister hotel, where you can relax and soak up the English countryside. Every season, Raymond Blanc and his team at Belmond Le Manoir aux Quat’Saisons strive for culinary perfection. This year is even more special as Raymond, his team and Belmond Le Manoir celebrate 35 years of outstanding excellence. The iconic, Oxford made, ‘Mini’ celebrates its 60th anniversary this year. 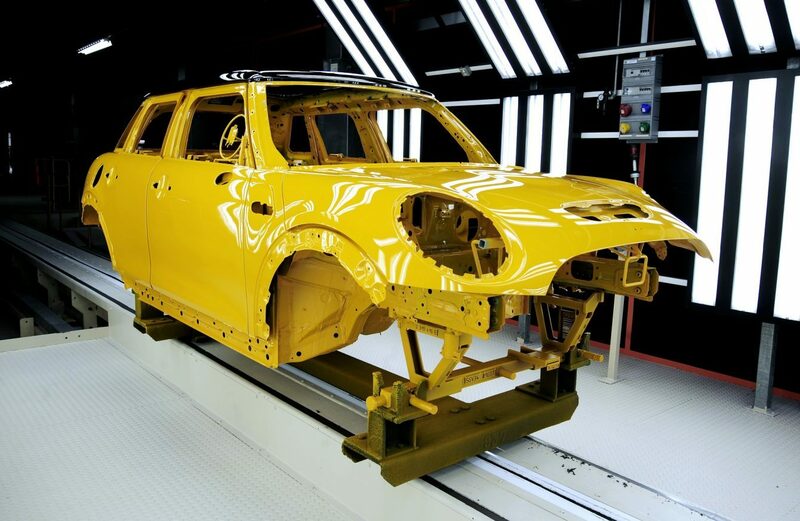 Celebrate this milestone by discovering the production of the car on a tour of the BMW Mini Plant in Cowley, Oxford. The Beautiful South Awards for Excellence, which were held at the Grand Hotel Brighton on 5th December 2018, recognised southern England’s wonderful tourism sector and Oxfordshire businesses scooped many awards. We were delighted to find that Oxford’s Visitor Information Centre has been named Information Service of the Year. Experience Oxfordshire’s Oxford Official Walking Tours was awarded Highly Commended status for Guided Tour of the Year. Blenheim Palace won Gold for the Responsible, Ethical and Sustainable Tourism award. 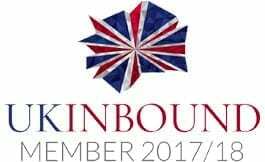 Blenheim Palace also won Silver for the International/Inbound Visitor Experience of the Year award. Oxford Castle & Prison won Silver for the Guided Tour of the Year award. Fairytale Farm, near Chipping Norton, achieved Highly Commended status for the Access and Inclusivity Award. Also, Waddesdon Manor won Gold for the International/Inbound Visitor Experience of the Year Award, in addition to a Highly Commended status for the Large Visitor Attraction of the Year Award. England Originals: Oxford features as one of England’s Historic Cities in a new Augmented Reality app. Using the latest augmented reality technology, ‘portals’ will give users access to places otherwise off-limits – such as locked rooms, exclusive city views and locations outside of the city centre. These virtual doorways will be accessible in selected parts of each city, and act as an immersive way to add value to the visitor experience. Oxford Official Walking Tours is now offering an exciting new Official Oxford Pub Tour – a unique way to explore Oxford. This new tour offers visitors the opportunity to discover the intriguing history of Oxford’s many pubs, some of which date back to medieval times. Tickets include two free drinks, so you can fully experience the atmosphere of Oxford’s pubs! New for 2019, Cotswold Guided Tours’ Famous Cotswold Tour takes visitors on a 6 hour journey across the beautiful honey-stone villages of the Cotswolds, with stops including Bourton-on-the-Water, Stow-on-the-Wold, and lesser-known thatched villages. We also welcome Vintage Days Out, craftspeople of truly elegant experiences. Their services include relaxed cruises in fully-restored vintage wooden boats with chef-prepared luxury picnics or afternoon tea. They offer seven tailored experiences for you to enjoy, so now’s the time to think about 2019’s unforgettable summer day-trip. Oxford Official Walking Tours are a fun and informative way to learn about Oxford’s history, visit the University of Oxford, and explore the filming locations used in Harry Potter and Inspector Morse, Lewis and Endeavour. All Oxford Official Walking Tours are led by professionally trained green and blue badge guides. Oxford’s Visitor Information Centre is based on historic Broad Street, and welcomes over nearly half a million visitors through its doors each year from both domestic and international markets. It provides many services for visitors, including information provision, left luggage, tickets sales for attractions, tours and events, accommodation booking, and sale of maps, guidebooks and gifts. The centre also provides services for conference visitors to Oxford, and offers training on information provision to Oxfordshire businesses.